He was held yesterday, at the Great Hall of the Palace of Sciences of the Department of Economics and Business, University of Catania, the first appointment of Let’s play: Videogame Festival to be held in Rome March 15 to 19 in care of Q-Academy and AESVI – Italian Video Game Developers Association. 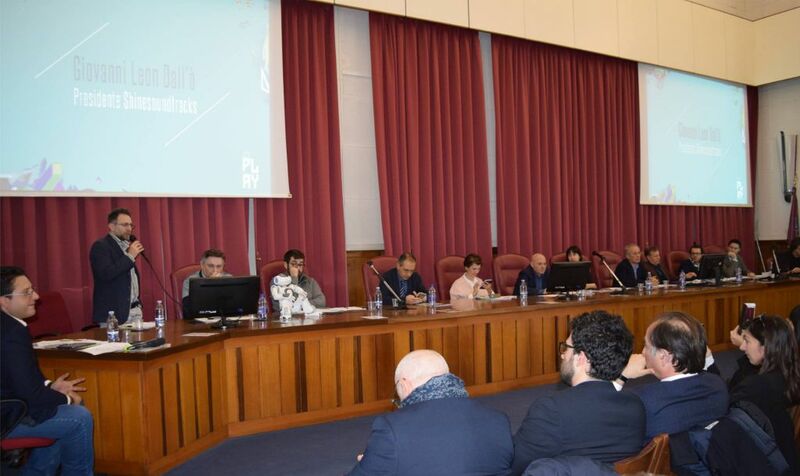 The meeting “Let’s Play: il videogioco tra impresa e cultura”, organized by Expo Srl, wanted to highlight the ferment within the games industry that developed in Eastern Sicily, sector ranging from gaming to education, from health to culture and tourism. It was certainly a useful forum for discussion and cultural exchange with the participation of press officers, students of secondary schools, colleges and universities, professionals, and curious amateurs. The undisputed stars of the round table, moderated by journalist Jiovanni Polito, the companies that have brought an example of corporate houses history arousing much curiosity, especially in younger fans. Among them Giovanni Dall’O, President of ShineSoundstracks, enterprise created to offer specialized services to the audio entertainment market partners. Dall’O explained how, even in the world of video games, are fundamental artistic contributions of the musicians who will perform soundtracks making the deeply immersive and exciting gaming experience. Our President, the most sincere congratulations on another milestone reached!